Born 1976 at Bato Camarines Sur, Filipino artist “Nobing Villez” grew up being fascinated by the works of National Artist “Fernando Amorsolo.” Norbing is a Fine Art undergraduate at Far Eastern University (FEU) who also attended Pol Mesina’s Art Workshop at Marikina. Joined the group “Sikat” (Sining Kulay at Tinta) who also participated in group’ shows and held his first solo exhibit at GT Tower in Makati. Later migrated in the US in 2006 and joined Temecula Valley Art Group for a year till he formed Let’s Paint Filipino Art Group, his current undertaking. Norbing believes that an art advocacy group is an empowering instrument in reaching out to our very own Filipino artists and inspiring them to act and change their life in a positive way. It is his aim to share some of his knowledge in painting, most of which he has learned from his mentor Pol Mesina, Jr.
Let’s Paint is an online art tutorial Facebook group founded by Norbing Villez last March 2015. It quickly grew fellowship in terms of participation, involvement and support as well as comradeship. The group’s mission is to help promote, educate, and affect change by engaging people to act as a community and help transform their life and their world using various visual arts media. He observed that most artists are members of one or more Facebook groups depending on the group’s objectives and themes. There are some groups that cater to promoting art, while others held online art competitions. Some art groups have stayed on while some dissolved quickly. Some have sparked hullabaloos while some remained conservative. That is why he was inspired to create Let’s Paint that has no other admins but him in order to avoid political tensions. However, the way the group is growing, he might want to add one or more admins to help him facilitate the group. The group’s first major activity was a gathering of artists and group exhibition of their works at Fred’s Gallery in Baguio City held last August 25-27, 2015. With the success of the previous art engagement, another major activity will follow suit at the “Baguio Arts festival” this coming Feb 24-26. This will compose of 4 groups: Lakbay Kulay, Artipolo, Makasining Pinas and Let’s Paint. The group will get a spot of 10 artist delegates chosen by Norbing. The activity includes exhibits at Freds Gallery and at the same time, the launch of Fred’s Mobile Gallery at different Baguio’s tourist spots for the celebration of Baguio’s Art Month. 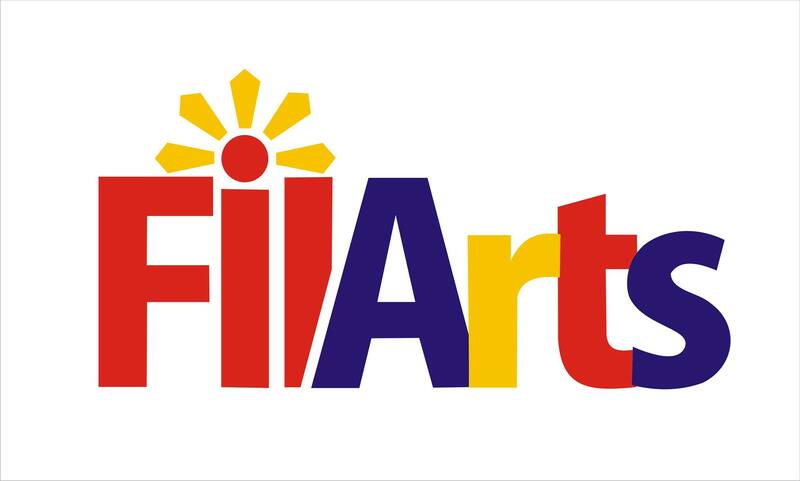 All artists are advised to bring affordable artworks to sell at the exhibit and mobile gallery. There will be on the spot plein air and sketching sessions. Artist and Architect Fredi Agunoy, host and participant, will open one unit of Fred’s Serviced Apartments in Baguio to house all artists. For accommodation, painters will exchange paintings not smaller than 8×8 inches. Norbing’s way of fun is to enjoy sharing his works with everyone in the group and to inspire newbies as well. Let’s paint, support and do his share to teach his knowledge for the groups one & only Let’s Paint Art Group. On the personal note, Norbing’s landscape paintings truly capture the scenery. It is his own way of preserving the subject and to continue learning in the process said the artist. This makes him HAPPY – Happy to help and Happy to Learn! Filipino Painter – Norbing Villez Plein Air Peach Blossoms Oil on Canvas. Filipino Painter – Norbing Villez, “Pinto Gallery” Oil on Canvas 18×24. Filipino Painter – Norbing Villez, “Morning Vineyard” Oil Pastel on Paper. Filipino Painter – Norbing Villez, “High Noon” Oil on Canvas 11×14. Filipino Painter – Norbing Villez, “Bike ni Lolo Ben” Watercolor on Paper 18×24. Contact the artist on Facebook or join the fun @ Let’s Paint Art Group. Image supplied by the artist. With this endeavor and along with her new advocacy of promoting cultural awareness, she hopes to inspire people to find their true calling and make them realize that the pursuit of greatness lies not in declarations of success, but in the lives you touched. The journey Nyx took could not be considered conventional by all means. Nyx was born to Christian missionary parents in Manila, Philippines who grew up in an environment that allowed her to pursue many talents including a life of service at a young age. Nyx in every essence is a missionary with a mission to make a difference in the hearts of many lives near and far. Through Our Life Outreach, a non-denominational Christian missionary program that her family started and accompanying her father visit prison inmates on a weekly basis, her first missionary undertaking as an art teacher to abused and neglected kids in a Children’s Education Center in Thailand helped shaped her destiny. Nyx has touched the lives of people from all walks of life from her Thursday sessions with cancer-stricken children kids in PGH. The semi-regular Living Academy of Arts (LAYA) Sessions to the various Fun Day activities she prepared for disadvantaged children. She created ways to draw a silver lining of happiness from the ominous cloud of hardship and poverty. After two years of full-time volunteerism, she heard of a mission program in Africa but was guarded at first from the lack of financial support to make it possible. This was the point where Nyx felt God’s hand in her life. In her three years in Africa, she journeyed up north to the “Ik” lands where she created awareness for the then-forgotten tribe through an exhibit of her paintings in Uganda. Never forgetting her passion for helping children, she painted happy stories on the walls of a pediatric ward in Mulago. She was also a local celebrity in every place she visited, and had everything going for her. I wanted to give the Ik people a different representation, do dispute the perception of them being a savage tribe,” she says. “I realized that they were quite different, good mannered people who had just been ignored for all this time. Nyx first solo exhibition was held in Kampala (2005) to raise awareness of a “forgotten” indigenous tribe called the “Ik” from whom she had met and stayed with for a week in northern Uganda. Since then, she has continued to support and educated developing communities through her art. She has taught art and creative courses to international students in Kampala, Bangkok, Manila, and Lake Como. Her most recent art exhibition was held in Brussels last June 27th 2015. In 2005, Nyx moved back to the Philippines, where she hosted Travel TV Shows with Living Asia Channel for 3 years. She also started the FunDayTion, a project to help terminally-ill kids. In 2009, she moved to Europe, where she got married in Denmark, lived in Italy and gave birth in Germany. Nyx is now Features Editor of Mabuhay, the Inflight Travel + Lifestyle magazine of Philippine Airlines. Wine and art have for years been inter-weave in art. Wine as we know is an indispensable component to enjoying and experiencing art. The wine made art concept was recently conceptualized in contemporary art to encourage new and creative methods of incorporating wine experience in art. I believe art can also wash forth the soul, baring and exhibiting it; transforming the dust of everyday living into powerful experiences of energy and light. Creating wine art is Nyx’s way of revering all the wonderful gifts life has given. Her paintings are a portrayal of emotions and inadequacies of humanity. All created with passion. Artworks that is pulsating and energetic. Wine painting is a dynamic form of expression. The texture changes and the colors evolve from red, bright purple and to a more mature tones of amber, orange and brown. Depending on the type of wine, the hues will differ in time. Painting with red wine creates a sense of boundless space and powerful strokes—both that flow and the volatility of this medium makes it a thrilling process for Nyx to explore. Nyx uses Chinese calligraphy brushes with the deep full-bodied colors and of course, flavors of red wine. She uses drip-method technique were the paintbrush rarely touches the paper where the stain intensifies with time, their transparent layers deepen, and the final picture emerges. Incorporating drips into a painting, whether they happen purposely or inadvertently, will always give a result that’s intriguing and pulls in a viewer. Free Fine Art for you to download and color! Just right click to print. Don’t forget to send in your colored versions to Nyx’ Facebook Link! Visit Nyx Martinez at www.nyxmartinez.com to sample some original fine-wine art, shop around, or contact the artist for commissions and collaborations. All images supplied by the artist. Koi fish are a common symbol in both Chinese culture and Feng Shui depicted on artworks, tattoo art and fashion to interior design. Koi Fish are ornamental varieties of domesticated pet carps that are kept in outdoor ponds or water gardens. They are a very common theme for Chinese traditional art, and also carry significant artistic meanings in Asian cultures including the Philippines. Many of the characteristics of the koi symbolize several lessons and trials individuals often face in life. The koi fish has a powerful and energetic life force, demonstrated by its ability to swim against currents and even travel upstream. Some of the characteristics associated with the koi include: good fortune, success, prosperity, longevity, courage, ambition and perseverance. Koi fish paintings series of plays an important role in the World of Feng Shui. Feng Shui is the art of creating a healthy balance of our lives and environment that surrounds us. In Chinese, “Feng” is wind and “Shui” is water. These are the two natural elements that flow and circulate freely on earth, creating a life energy known as ‘Chi’ that shapes our living environment. They teach us to develop a “Positive” attitude. In times of adversities, keep looking ahead and walk towards the sun and you will never see the dark part of your shadow. These paintings were done by Ronna Lara-Bes who I featured here. It is easy to see how her treatment of koi differs greatly from the Asian styles we are accustomed to. Color is one of the areas of departure and she incorporates a more ingenious pallet. Her color compositions are vibrant to represent the fish as well as the patterns they create. Their concealment below the water’s surface and pond portray the hidden depths they reveal. Ronna has tried to express these qualities in her paintings and has succeeded in developing a stylized method to increase visual impact. These paintings are positively beautiful to look at and their reinterpretation of a time-honored subject makes them all the more compelling. Ronna’s good luck koi fish artworks are the perfect gift for Christmas. She can do small, medium and big koi paintings depending on your required budget. Please help support a dedicated, hardworking artist and her continued growth through the purchase of her beloved koi’s for you, family, or friends. Ronna Lara-Bes is a graduate of Architecture from the University of Santo Tomas. Her professional life is dedicated to creativity and the teaching of it. Her early years saw her as a fashion designer; then, as an architectural visualizer, product designer, 3D animator, photographer and visual effects artist. She is currently a member of the faculty in Feati University’s School of Fine Arts, teaching Photography & Digital Arts Process. Everybody invited to attend Ronna Lara-Bes’ second solo exhibit titled “Fixations,” at Galeria de las Islas, 3rd Floor, Silahis Center, Intramuros this coming January 14, 2016. This exhibit is a showcase of the artist’s ongoing interest in various art forms. Refusing to be boxed in to a single subject or medium, she embarked on several explorations of materials until she conquered them. In Fixations, Ronna Lara-Bes presents her art journey in three streams: Waterworld, Kalakal Boys and Questions. Waterworld is a continuation of her fascination with Koi fish. She depicts these beautifully energetic creatures as seemingly floating in solid backdrops of brilliant red or among orb-shaped stones. She does not paint light reflections, as others would often do, to bring the viewer under the surface of the water, as if they, too, are swimming among them. Actress and Congresswoman Lucy Torres-Gomez, upon seeing her paintings described her Koi’s as having that porcelain look, smooth and translucent. Kalakal Boys is an homage series for the (mostly) urban occupation that poor Filipinos engage in. Money may be tight for these men but they do not shirk from the hard toil of honest work. I have employed clean lines and color to the figures to imply the nobility of what they do, in spite of the fact that they are often exposed to the elements and the grime that comes along with it. Questions is dominated by mixed-media works, large-scale paintings and sculptures. Here, the artist explores various issues of the human psyche both inwards and outwards. Her works had been exhibited in the Philippines, Bacolod, Rome, Vienna and Leeds. They have graced homes and other spaces across eight countries and four continents. Gladys enjoyed painting only as a hobby until one of her pieces was displayed for a charity fund raising event. From then on, she accepted commission orders and eventually, got her own art studio. And her debut art exhibit “Art Inspires” in Deutsche Bank Group Manila, Artspace which will run till December 18, 2015. Gladys influences and inspirations come from Mark Rothko, Gustav Klimt, Pablo Picasso, and Vincent van Gogh. All come from different artistic movements and styles. Gladys creates her paintings to reflect positive emotions as her name suggests, Glad. For Gladys, creating abstract art is an expressive means to channel creative energy with positive feelings. Her art embodies the artist visions, her dreams, and her energy. She is inspired by the vibrancy of energy and the connection around the universe and the beauty of pure nature. Her abstract paintings are inspired by the visual clues in nature and eternalized with spirit and impulsiveness from emotions within. Gladys uses acrylic glazing technique giving light and life to her paintings. The resulting works are emotive and suggests fluid movement, creating energy on the canvas with a wonderful tactile quality. The ambiance of the painting is poignant and pulsating in colour. Abstract art is a contemporary style of painting that reveals a visual language unique to every abstract artist. While some non-representational abstract art can be disordered and chaotic, Gladys works represents nature and a larger connection to the universe. For Gladys, creating abstract art is an expressive means to channel creative energy with positive message that reflects upon a higher vision. While exploring through the abstract painting process, Gladys searches for a rhythm in the moment to find a creative expression that communicates a balance and a beauty within. For Gladys, abstract art can convey energy that awakens your emotions and the creative mind. Using her sense of intuition, she is able to create these abstract paintings with vibrant colors, waves of light and layered movement to awaken the senses and transform their environment giving positive harmonious energy. Imagine yourself entering a room when you are in a bad mood. And upon you viewing a particular artwork on display in that room; you start to feel some happy emotions kicking in and soon you find yourself smiling and laughing instead of frowning. It’s a work of art that alters your mood in a good way. Her paintings have the power to alter the energy within the room that it has been placed in because they enhance positive energy vibrations and overall well-being. All her works give that effect, all due to differential energy wavelengths and frequencies that convey different feelings and meanings to the observer. Inquiries from all art enthusiasts are welcomed. Please contact the artist via Facebook. Filipina Artist Khristina Manansala quit her corporate job to follow her grandfather’s footsteps. Her paintings are mostly centered on religious subjects. To get a better understanding of Maricar Reyes Barba’s (Pseudonym “Rica Barba”) cyborg art. It is necessary to know the general concepts. A cyborg is a single self regulating system. It includes two different domains. One is natural and the other is artificial – organic or mechanical binary objects. Cyborg only exists as this union of supposed opposites. The use of prosthetic and other techno sciences is the primary focus. The idea of the cyborg extends down to the micro level of artificial life. In some important ways, one can define a human machine cyborg as a creature modified. Art is harder to define than cyborg. The art creation process is a languishing practice. For it implies making meaning with materials — or better yet, making material meaning. Art differs from discursive language. In that, it does not send meaning through sets of codes. The transmission is through form and content that makes sense to the psyche. The meaning is actualized. In time, space, body and matter. It is a sensual and aesthetic experience to the viewer. One could argue that there are still codes involved. The codes of language discourse are formal in most respects. It is a narrative, logical, and experimental. The codes there are in art seem to be somewhere between explanations. After the fact, publicity, and wishful guessing of interpretations. Filipina Artist Rica Barba participated in Muntinlupa Group of Artist Art Group Show for Typhoon Yolanda at the Espeleta Mansion Level 1, Susana Heights, Muntinlupa City. The striking thing about cyborgs and art is that the implications of their intersections. Cyborg art is art that interrogates. The intimate relationships between the human body and technology. Rica Barba’s biomechanical and futuristic digital artworks and paintings are notable for its grace. Its proportion of the human and nonhuman creatures. Her androids, cyborgs, robots and fantasy aliens of homeostatic systems. Rica’s works of art is instinctive. Her conscious aim is to create some sort of visual impact to the viewer. Ideas for her artworks will sometimes come to her when she is half asleep. Though some of them are full blooded products of her dreams and imagination. Rica uses 3D software in her renderings and think in three dimensions. It is the way this artist views the world – not in flat surfaces but in depth. 3D applications provide her polygon tools. This is where she manipulates simple shapes into one that are multifaceted. Using such techniques as extrusion. Pulling the shape out of its base points to create a 3D model. Her canvas is a direct representations of her reality. Her subjects are lit, shadowed, colored, textured and defined just as they are in the real world. Born December 1, 1976 in Estancia, Iloilo, Rica’s ambition had always been to be an artist. A graduate of BS Psychology in West Visayas State University in Iloilo City. A self taught visual artist, she did not receive any sort of artistic training. She said, her grandfather, Rev. Restituto Ortigas, was her greatest art influence. The one that provided her books with rich and vibrant colours which enhanced her art visions at an early age. Since then, she made paintings in oil and acrylic. Experimenting with other mediums. Later finding her niche doing three dimensional digital artworks. She began her art career when she moved from her hometown last 2009 to Muntinlupa City. Where she currently resides. Landed a job as Sales Coordinator. At Prime Sales Incorporated of Prime Group of Companies in Taguig City. She became involved in administrative dept and finance. Later promoted as the company president’s secretary. She worked and managed group exhibitions, multitasking her job and arts at the same time. A freak accident happened last 2014. Where she had a severe patellar knee dislocation and a lumbar and spinal disc fracture. Which affected her mobility, thus forced her to resign from work. Difficult months followed where she can’t even stand up without help. She underwent operation and was on a cast for almost six months while seeking therapy. Her accident left her knee deformed and now walks with a cane. The disability made a negative impact in her life. During her dark days, she struggled to relate her art to people close to her. It seemed like she was in a jungle in which psychiatrists were hunting for wolves and snakes. But she never gave up her art. She fought her biggest enemy, none other than herself. “I made my art as my refuged. Wherein I definitely see my digital works and paintings as my means of communication. Social media became my channel of expression. I am a conceptual futurist, a term I used because it offers a hint of the scope of my abilities,” said Rica. Benjamin Cruz is a award winning Filipino painter who has the ability to dream and create new worlds. Mr. Cruz’s transforms his pieces to new heights with this concept of manipulating dimensionality. The artist takes inspiration from the landscapes around him that goes way beyond realism. Compositions and painting techniques are the tools Mr. Cruz’s uses to transform his art. His subtle shift results in a piece that is complex and layered. The same way that life is multifarious and multidimensional. His transparent layers of acrylic in unique ripple effects. Create landscapes that appear to dissolve into the mist. Results in a mysterious surface. That begs the viewer to come closer and explore the intricacies of the painting. Mr. Cruz’s art is in the category of abstract realism. Abstract realism is difficult to explain because it is the blend of two opposing styles of art. Abstract art without any combining rudiments and has no reference to real objects. It is only concerned with the colors, lines, shapes and rhythms that create the artwork. In a manner, abstract art is art without a concrete and physical construct to work from. Yet, realistic art aspires to create realistic impressions of real objects. Realistic painting attempts to show what the eyes actually see, including human hardships. This goal of realistic accuracy includes color choice, subject matter, and brush strokes. The painting should represent the subject. Viewers should know what they are looking at. The goal of abstract realism involves using abstract painting techniques. Through the use of distorted images by implementing impressionist, surrealistic and expressionist techniques. To make the painting recognizable, somewhat blurred and distorted. His art form sits between realistic depiction of the world. Including, non-representational abstraction as the main subject. They are no longer two separate opposing styles. But they come together to strengthen each other. Mr. Cruz aims to bring the elements of our consciousness that is not evident in plain sight into the light. His desire for the comfort and skill of the real and the need of those abstract aesthetics. Ben Cruz waiting for the announcement for 2015 Southeast Asian Painting of the Year. A former graphic designer of the Business Times, Mr. Cruz, won the coveted UOB Painting of the Year 2015 (Singapore) award for his acrylic on canvas titled “Building.” Organized by the United Overseas Bank last Nov 4, the painting mixes realism and abstraction to present images of Singapore landmarks under large, textured swirls of earthly colours. Award winning piece points out something that already exists. In its final form. It is symbolic of Mr. Cruz’s impression of Singapore, where skyscrapers dominate. Ben Cruz, born in 1954, is a multi awarded visual artist both in the Philippines and Singapore. Mr. Cruz has completed a degree in advertising and is concentrating on painting realist abstracts in his retirement.